Recently Overhauled by Lee Stofer!! Last edited by Cthuba on Fri Mar 15, 2019 4:40 am, edited 3 times in total. -A Misquote from HP Lovecraft. 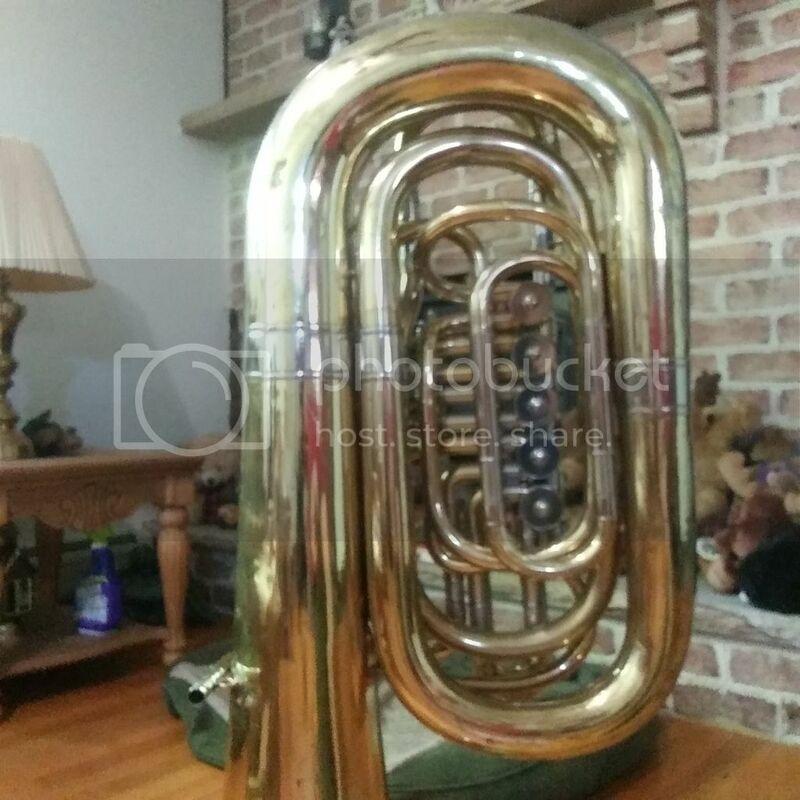 Is this a tuba that I original sold to one of my own employees, and to which I later added a fifth valve for them? Some subtle features hint that it may well be that same instrument. The one to which I refer is a very good player, and passed back through my hands a few years ago. Were it not for "an overlap of very good tubas which function very well in the same sorts of applications", I would have been tempted to hold on to it. Not entirely sure. I purchased this instrument from a gentlemen out in Ohio, who had previously purchased this from Andy Rummel. 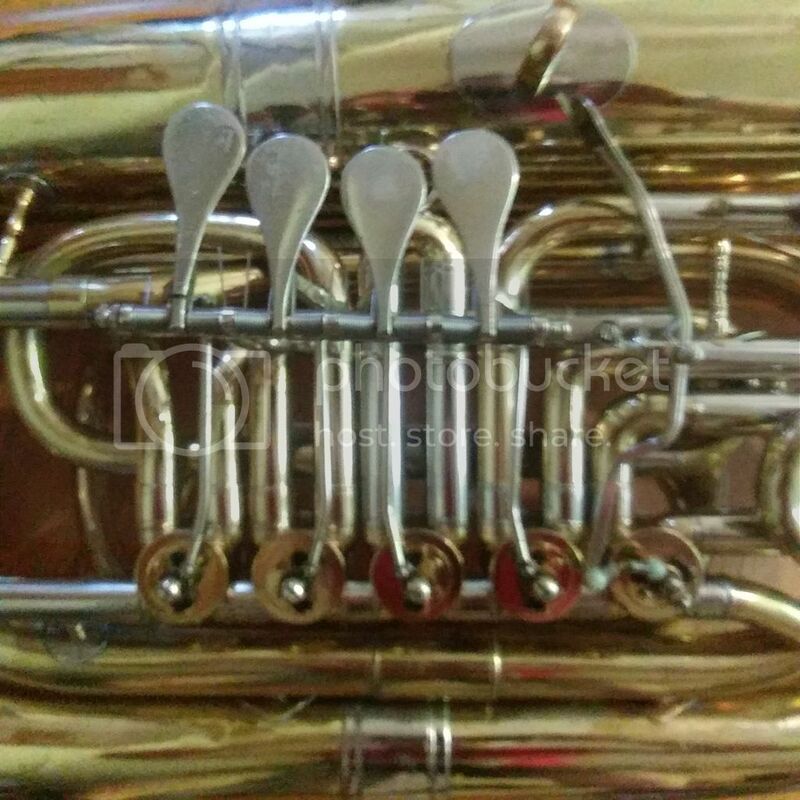 This horn at that time had a detachable valve section where some braces were not connected to the instrument. The horn has since been restored to its original condition through Lee Stofer. I've played this instrument when Cthuba first bought it. It was a great instrument then, and if Lee Stofer got his hands on it - I'm sure that it's even better! 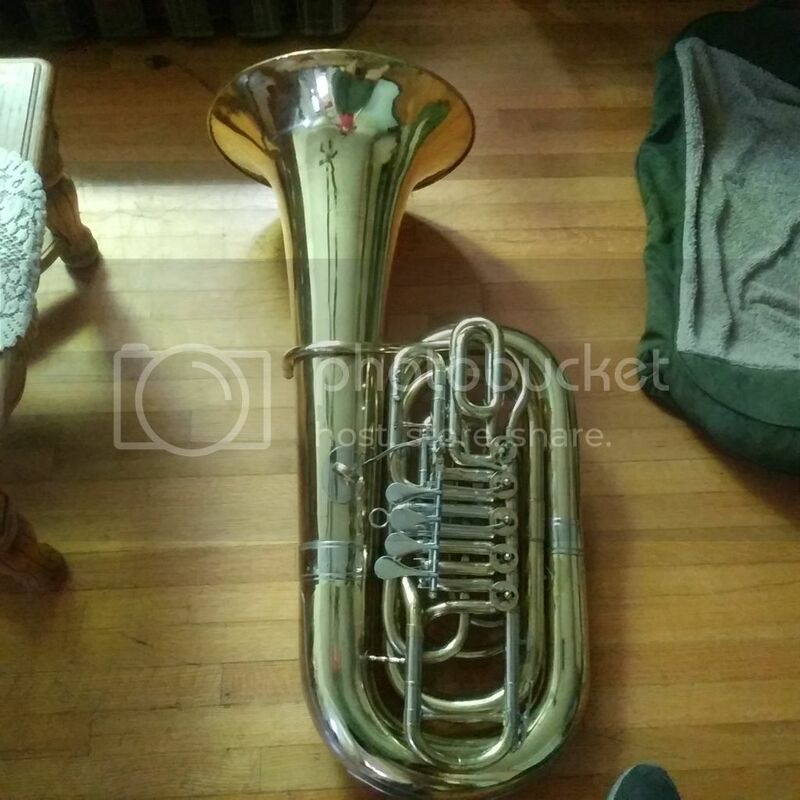 Great horn for a great price! Give it a try! This instrument has the original 5th valve, as far as I can tell. Some years ago, someone had the instrument re-braced to make the valveset and leadpipe removable. Then, someone else had several non-detachable braces added to try to restore lost resonance. With a mix of detachable and non-detachable braces, it played as well as a lot of tubas out there, but was not as resonant as it should be, and the response was somewhat deadened. The owner brought it to me at the TUSAB Tuba-Euphonium Conference, then waited several months until I could get to it. Since these are individually hand-crafted, including the braces, there is no such thing as just ordering new braces, such as for a King, Yamaha or Jupiter. 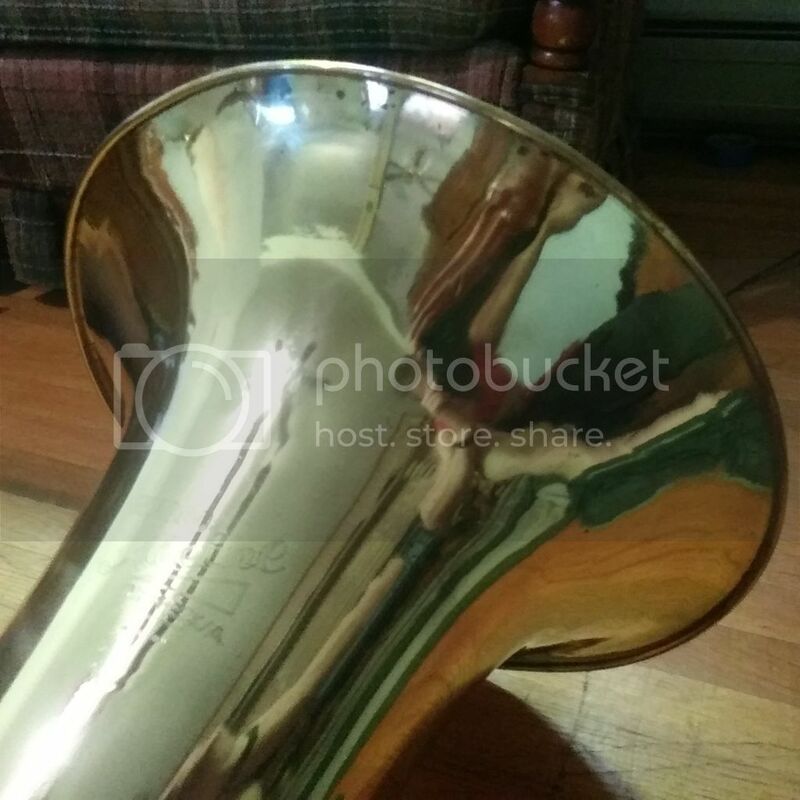 I pulled the valveset, removed all of the incorrect parts, then fabricated new original-type braces and reassembled the tuba as it originally was. The resulting tuba has not had a complete restoration, as the lacquer is not new. It is what I call a play-condition restoration, which means it plays very much like when it was new, is a quite dependable player and sounds like a million bucks. You would get a somewhat better instrument if you bought a new one, but it would also cost you about $19,000.00US. Someone needs to buy this instrument and enjoy it for many years. I played Mark's Rudy during one of our duet reading sessions. It played beautifully, almost identically to the one I bought new in 1984. If anything it had a more "open" free blowing feel than my newer one. An excellent tuba.. This is the final price drop. I will give this some more time. If no offers arise than this will be sold through consignment at BBC at a much higher price. Horn is now for sale on consignment with Baltimore brass along with my Wiseman PT6 clone.